The design and manufacture of racing cars is a highly successful sector of the UK’s engineering industry and the Department of Aeronautics at Imperial College has been working with the industry for more than 30 years. This collaboration has been primarily in the area of aerodynamic design involving model cars in wind tunnels and the development of wind tunnel techniques. One of the first investigations carried out was for Donald Campbell on his Bluebird record breaking car. At about the same time the importance of aerodynamics in Formula 1 racing was becoming more widely appreciated and the department became involved in much of the pioneering work in this field. A major advance was the introduction of a moving floor beneath the model to simulate correctly the airflow around and under a racing car fixed in a wind tunnel. This led to some spectacular improvements in aerodynamic performance, including the development at Imperial College by Peter Wright of the highly successful Lotus 78 ground effect car. Since then the wind tunnels at Imperial College have been used by many major Formula 1 teams including McLaren, Williams and Ferrari. 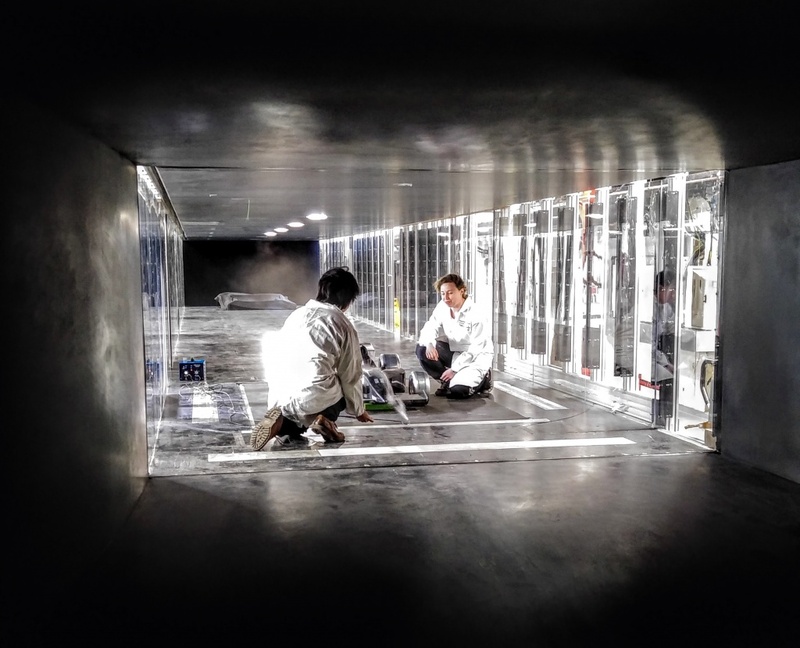 The governing body of Formula 1, the FIA, commissioned a program of testing at the Imperial wind tunnel to determine how downforce and drag are affected during an overtaking manoeuvre. Work in Formula 1 has led to projects in other areas of motorsport and passenger car design. Sports cars have been tested including the successful Jaguar Le Mans car of a few years ago. A contract from Honda in the 1980’s enabled the department to build a substantially larger wind tunnel, the 10×5 Tunnel, for road vehicle aerodynamics and considerable research has been carried out into the aerodynamics of passenger cars. This year as a result of a large EPSRC grant, the tunnel has been completely refurbished and the design took into account the need to maintain all the outstanding features of the original tunnel, but also to add many more features, such as the extended lower test section, large upper test section and tunnel cooler. The tunnel is one of the National Wind Tunnel Facility tunnels. It is possible to test racing car or road vehicle models up to 40% of full scale. 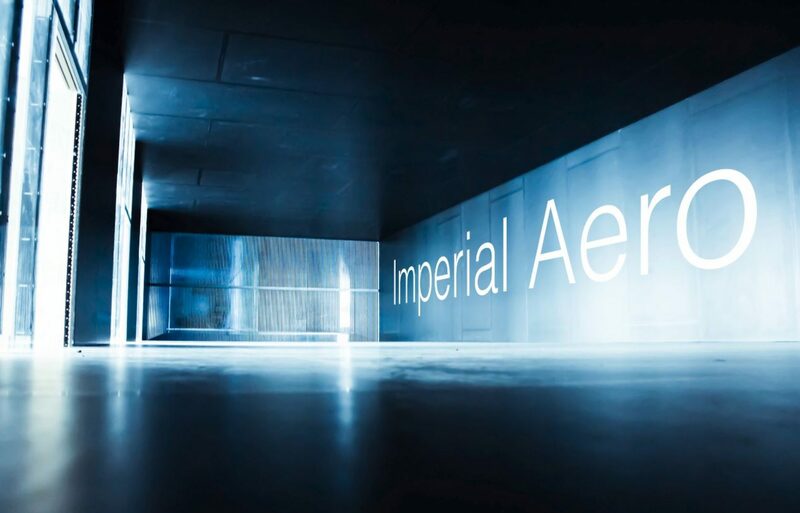 The Imperial College 10×5 wind tunnel has been used extensively by industry for research and development into road vehicle aerodynamics. A highly satisfactory spin-off from this activity has been the placing of a significant number of graduates, at first degree and PhD level, in the racing car industry. In almost every Formula 1 team there is at least one alumnus from the Department of Aeronautics.